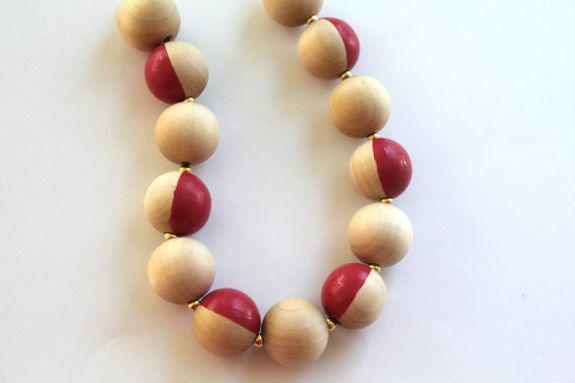 Remember my wooden bead necklace from last week? Well, guess what, I made another one! 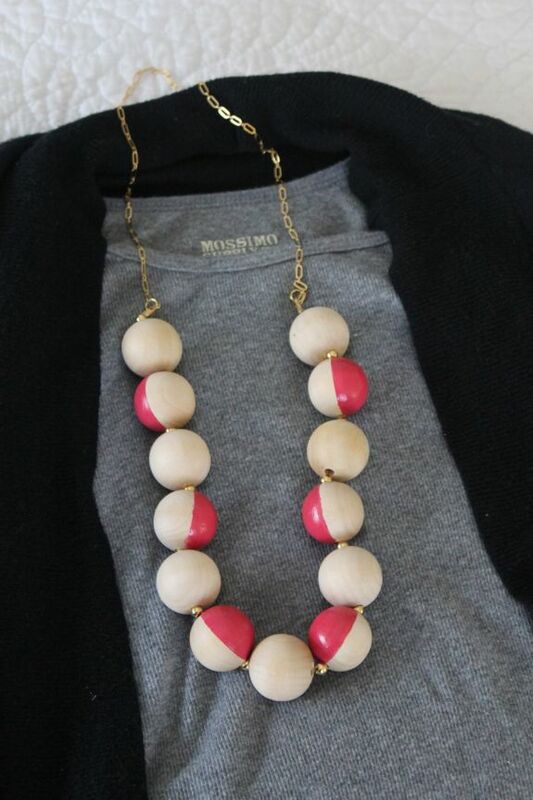 I stumbled on this $128 Kate Spade necklace that was dying to being DIY'd. I laugh that most of my DIYs are perfect for preschoolers. That is my idea of a perfect craft. This necklace, however, requires a bit more assembly. Don't worry - it's still easy, it just has a few more steps. 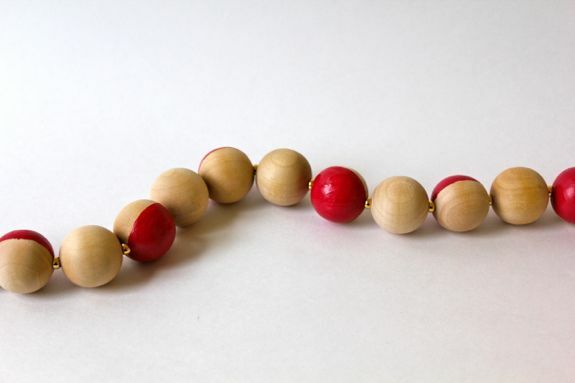 13 wooden beads: They come in several sizes, I used 25mm. Available at JoAnn's and Hobby Lobby. 14 small gold beads: You will need beads that are big enough so that they don't get swallowed by the wooden beads. I used 5mm. One length of Bead Ready jewelry wire. I found this at my local craft store. About a foot of gold chain. Acrylic paint: I mixed the shade of pink I wanted by using red and white. 1. 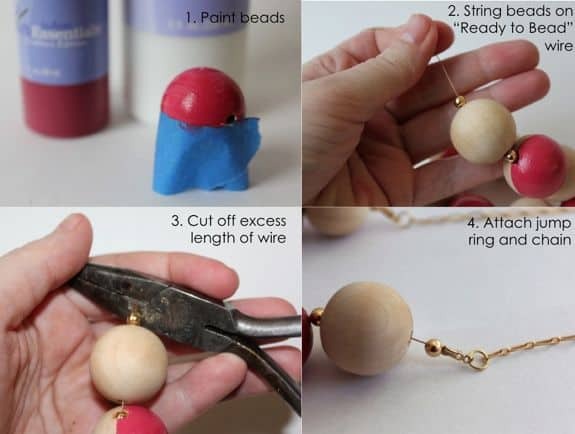 Paint 6 wooden beads with a bright pink. I'm terrible at eye-balling so I used painters tape to mark off half of the bead. Paint two coats of paint. After that has dried, give it a coat of Mod Podge gloss. Leave the other beads plain. 2. Starting with a small gold bead, add your beads to the wire. 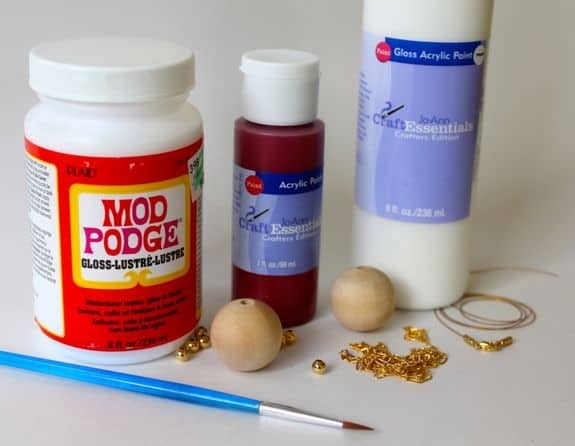 Alternate a plain wooden bead with a painted one, remembering to put a gold bead between each. 4. Attach the crimp end to the wire by crimping or gluing. Remove the preattached lobster clasp. 5. Attach a jump ring to both ends and add the gold chain. You don't need a clasp because the necklace will easily fit over your head.